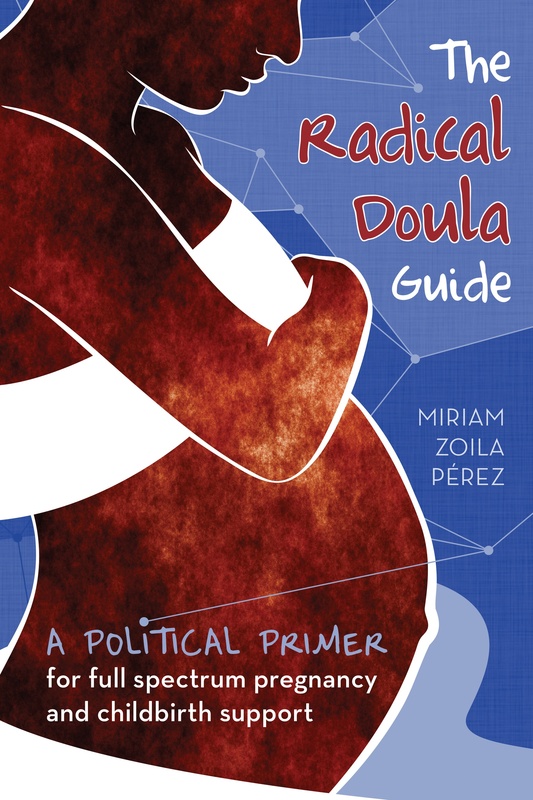 RD: Why do you identify with the term Radical Doula? BC: I heard a quote one time that said, “I don’t swim in the mainstream, it’s polluted.” I do things differently in my life and as a doula. I learned a few years ago to really question things, my thoughts and beliefs especially. I realized that I was just accepting certain things without really knowing why. Since then I have decided to come into situations with an open mind, willing to learn. That decision has changed the course of my life. I learned from the birth experience of my first child how women give up their power and hand it over to doctors who have agendas of their own at times, mine certainly did. It’s a sad fact that in this day and age, women are bullied in the United States while giving birth. Birth is such a sacred and pure experience. It should be full of love and joy and excitement. It’s not a medical procedure, and women are being robbed of the experience they deserve. As a doula I do everything I can to empower women to be in control of their birth experiences. It’s amazing how strong and powerful women are when they are supported and loved! RD: What inspired you to become a Doula? BC: I was a young mother, having my first baby at 22 years old. I didn’t take any child birth education classes because I didn’t trust them to teach me what I needed to know. I didn’t have faith in my doctor, but since he was the professional and had done it hundreds of times I thought he knew more than I did. I went into birth with the idea that my body could do it and I would figure it out on the fly. This was completely misguided, I was uninformed and was setting myself up for failure. I was induced, the first intervention of many, and my son was eventually born by cesarean. We both came out of the surgery alive, but I had complications and didn’t heal completely for 8 months. After this horrific experience I opted for an elective cesarean for the birth of my daughter. Several years later, during some inspired internet surfing I came across a doula. I began to read about it and I happened to meet a doula and over the next year I decided to take the training myself. During the three day class I cried a lot, and re-opened those old wounds and began the healing process. I left the training feeling more whole, empowered and excited to bring knowledge and hope to other women. Modern birth has become a medical procedure instead of a beautiful journey. I want to help women experience the journey. RD: How does that work fit into your broader political beliefs? BC: As a birth activist and lactivist I feel that there is not enough information available to doctors as well as parents. A woman has to know where and what to search for on her own if she wants to have a natural birth experience. The information just isn’t available in hospitals or from most doctors. The use of birth tools, forced labor and delivery positions, even the language they use isn’t conducive to healthy natural birth. Living in the South I have come across too many people who think that formula is healthier than breast milk, that many women can’t breast feed, and that hospital births provide the safest environment possible to give birth. The biggest problem I see is lack of information out there. And this is where the doula comes in. For the women who aren’t comfortable going to a birth center or doing a home birth, the doula can step in and provide the knowledgeable hand of support. The power can remain with the woman giving birth, and not within the medical professional. The professional’s job should be to oversee the birth and assist when necessary, not to dictate what should happen and force things along their time table. RD: What is one thing I would change about birth in the US? BC: I would make hospitals a safe and productive place to give birth. Most women give birth in a hospital, and most hospitals push drugs and interventions when they aren’t necessary or even advisable. I toured one hospital where it’s the policy to give a woman Pitocin after her birth regardless of how she delivered. Drug free births with no complications, or induced births with many interventions, they all get Pitocin to force the uterus to contract back to a smaller size. When I questioned them they said that “Most breastfeeding moms don’t know what they are doing and can’t get their babies to latch well enough to contract the uterus without the aid of the drug.” This is a common belief in hospitals, that the mother isn’t good enough, she needs various drugs and she needs to be told what to do. In my own first birth I was yelled at by my doctor because “I wasn’t doing it right.” The lack of faith in my abilities shattered my own confidence and started the cascade of interventions that lead to a cesarean birth, and damaged a little piece of my heart. I would educate the doctors and nurses who have chosen birth as their profession. Less medicine, more compassion and understanding. I would change intolerant hospital policies that don’t allow women to eat when they are hungry, walk while in labor and squat while delivering. I would change birth back into the woman honoring thing that it used to be. The bottom line is birth in any setting would be a safe and welcoming environment for mother and baby.